I received the Wisdom of the Oracle deck by Collette Baron-Reid from my in-laws for my birthday and I sent Reiki to the deck to cleanse them and drew my first card for myself and it was perfect. I have an urgent sense of rushing to get things done and to be honest it stresses me out, puts me on edge and makes me a not very nice person – snappy and impatient when I should be calm and mature, dealing with issues calmly, it brings up a lot of guilt and it is a vicious cycle by putting more pressure on myself. 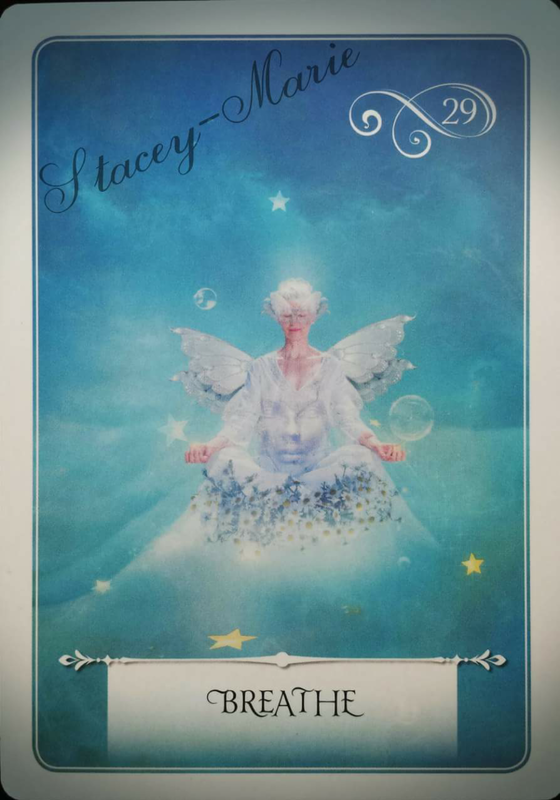 So this card is saying patience is the key – slow down and trust – BREATHE, allow air to energise me. Also get the need for air in the literal sense, I am lacking fresh air because i stay inside all the time, and get too comfortable (stems back from depression phases). I am debating whether to go for a walk right now and find myself making excuses lol, but I think I will…. so a walk in nature here I come….